Polymeric materials have been widely used as soft tissue and non-weight bearing implants for a number of years. However, the successful use of polymeric materials in high load bearing joints is a much more recent development. The prosthetic replacement of the major joints of the lower extremity, the hip and knee, imposes very severe environmental conditions on the implant materials. 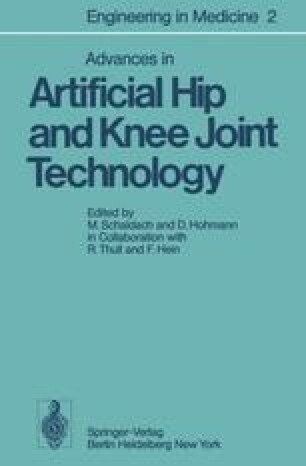 In addition to the hostile chemical environment, hip and knee joint prostheses are exposed to abrasive forces and to fatigue-producing cyclic loading and intermittent peak loads amounting to several times the normal body weight. For these reasons some polymers which were found to have acceptable biocompatibility in non-stressed applications were found to be quite unacceptable when used in areas of high load bearing due to their structural instability and poor abrasion resistance.